The role of privacy officer is one that is growing in importance, partly due to legislation such as the EU General Data Protection Regulation (GDPR) which specifically stipulates the nomination of a privacy officer role, with specific accountability for data privacy. Privacy management differs from information management in that it requires a closer focus on the processing and protection of information relating to individuals, rather than general corporate information. New legislative instruments such as GDPR often impose a broad range of obligations, many of which are new to organizations. 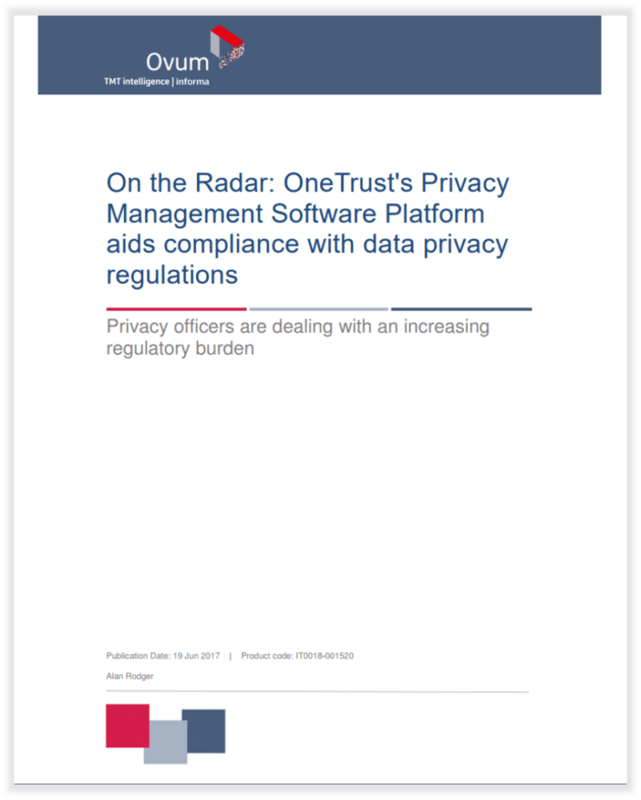 OneTrust’s solutions aid privacy officers in the conduct of their responsibilities, automating some processing and providing background information for compliance attestations.